It was a sold-out house that greeted the director of New Zealand’s top-grossing film of all time, Taika Waititi on imagineNATIVE’s Opening Night screening, on Thursday, Oct. 20. 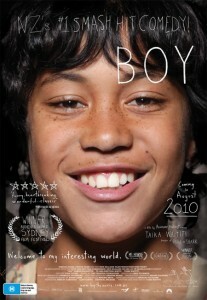 The Canadian premiere of ‘BOY’ was a much-anticipated movie from an artist who’s become a fan favorite after many return visits to the festival. MEDIA INDIGENA was there to capture the buzz behind the official opening of imagineNATIVE’s 11th annual programme.